We know the importance of diversity in the environment, but what’s at risk by neglecting the levels of diversity in forestry’s workforce? As an environmental scientist, the importance of diversity in an ecosystem has been drilled into my head since my first day of classes freshman year. By now, I’m more than aware of how critical it is to maintain high levels of species diversity in the environment in order to support ecosystem function. Is the same true for our workforce? Although there is strikingly little data, several recent studies have recognized the lack of representation that women, people of color (POC), and the LGBTQ+ community hold in natural resources careers [1, 2]. Seemingly at the peak of workforce homogeneity is the field of forestry, where low levels of diversity prevail despite the increasing number of minorities in other natural resources fields . 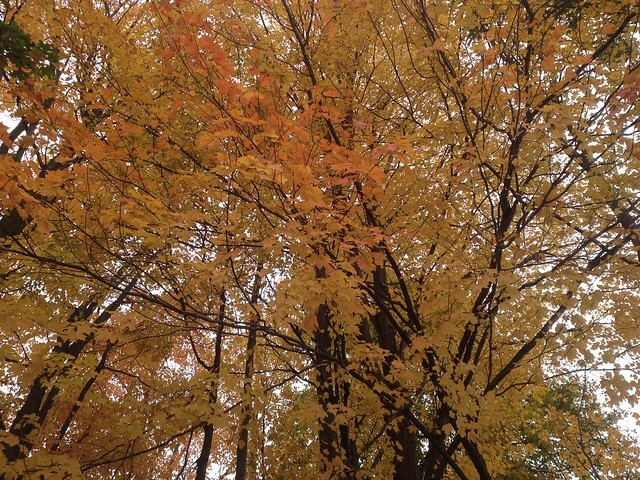 Figure 1: A New England forest in the fall. A 2012 study showed that although women now account for almost 41% of university enrollment in natural resources programs, they make up less than 18% of forestry students. This accounts for the lowest percentage of women among all natural resources fields, which in itself falls below enrollment across all university programs (57%). POC are reportedly further misrepresented in forestry, composing only 10.5% of its enrollment, also falling below the reported 40% of enrollment across all programs . I found no data to support my suspicion that the LGBTQ+ community is among the misrepresented in forestry - what little information I did find pertained to STEM fields as a whole, which includes forestry. A survey of federal employees showed that only 2.7% of respondents in STEM-related federal agencies identify as LGBTQ+, compared to 3.1% in other agencies . - What is the reason behind these low numbers in forestry? There is by no means a singular answer to this question, although several survey-based studies have explored various possibilities. A commonly observed trend among women is the attraction to conservation and sustainability, whereas forestry is often perceived as primarily consumptive (i.e., logging) . Several studies suggest POC are less likely to be involved with nature due to economic, cultural, and discrimination-related barriers, which may impact their career-path .There is data displaying the disproportional distribution of green spaces, with neighborhoods of primarily ethnic minority residents often having little access to nature . Furthermore, both women and POC have reported their hesitation in pursuing a forestry career due to their concerns about its lack of diversity and the accompanying potential for discrimination . Over 40% of LGBTQ+-identified employees in STEM reported they are not out to their colleagues, stating they felt unwelcome or unsafe to do so . These findings suggest that public perceptions, accessibility, and discrimination (anticipatory and in action) all play a part in the continued low levels of diversity in forestry. - How is this lack of diversity in the forestry workforce impacting our environment? High levels of species diversity in a forest coincide with high productivity and resiliency , and it may stand to reason that this principle of biodiversity would apply in the workforce. While it is difficult to truly quantify the role of diversity in the workforce, empirical evidence hints that including minorities is significantly beneficial. For instance, data collected from several communities in India and Nepal have shown that groups with a higher proportion of women in decision-making positions boast much greater improvements in their forests . - How can we increase diversity in the forestry workforce? In my opinion, the first step would be to collect more data, including updated statistics, minorities’ perceptions of the field, and the challenges that employees face. With this information, appropriate policies could be created to eliminate the possibility of workplace discrimination. Initiatives could be set forth to educate both the public and forthcoming university students on a more holistic view of forestry, emphasizing the field’s conservation and sustainability aspects. While current levels of diversity among forestry professionals may seem disheartening, there is cause for encouragement. Minority involvement in the field is on the rise; for instance, the aforementioned 10.5% of POC enrolled in forestry programs in 2012 has risen from the 1% documented in 1973 . With growing interest in the environment and an increasing awareness surrounding workplace diversity in today’s society, we may soon see a rise in minority representation in forestry. And as the forestry workforce becomes more diverse, the field will likely benefit from new ideas and perspectives – as a result, improved forest management and associated environmental benefits will almost certainly follow. Further explore the many complexities of biodiversity in this post. Sharik, Terry L.,Robert J. Lilieholm,Wanda Lindquist, and William W. Richardson. “Undergraduate Enrollment in Natural Resource Programs in the United States: Trends, Drivers, and Implications for the Future of Natural Resource Professions.” Journal of Forestry 113, no. 6 (2015). 538–551. https://doi.org/10.5849/jof.14-146. Cech, Erin A. “LGBT Professionals’ Workplace Experiences in STEM-Related Federal Agencies.” Paper presented at 2015 ASEE Annual Conference & Exposition, Seattle, Washington (2015). https://doi.org/10.18260/p.24431. Rouleau, Mark, Terry L. Sharik, Samantha Whitens, and Adam Wellstead. “Enrollment Decision- Making in U.S. Forestry and Related Natural Resource Degree Programs.” Nat. Sci. Educ. 46, no. 170007 (2017). https://doi.org/10.4195/nse2017.05.0007. Wolch, Jennifer R., Jason Byrne, and Joshua P. Newell. “Urban green space, public health, and environmental justice: The challenge of making cities ‘just green enough’” Landscape and Urban Planning 125 (2014). 234-244.